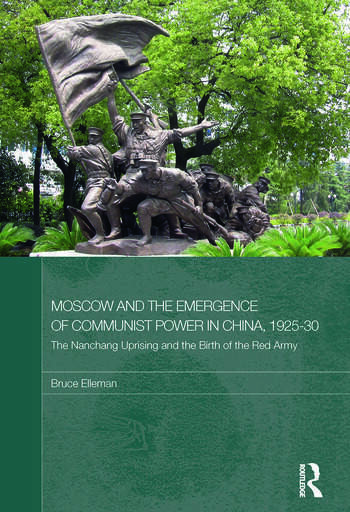 This book examines the emergence of Communist power in China during the interwar period, focusing especially on the role of the Soviet Union and the 1927 Nanchang Uprising. It describes the history behind the alliance between the Chinese Communists and Nationalists, the impact of the USSR's military and political advisers, and the success of the Northern Expedition that resulted in the April 1927 purge of the Communists from the Nationalist Party. It explores the debates between leading communists in Moscow, notably Stalin – who thought that China was ready in 1927 for an urban-based Communist revolution, similar to what had happened in Russia ten years before – and Trotsky who opposed it. It goes on examine the seizure of power in Nanchang by the Communists, the establishment of China's first short-lived soviet republic, and the reasons why the soviet soon collapsed. It explains the consequences of the rising, including the adoption by the Communists of guerilla warfare, the foundation of China's second soviet, and after moving to northwest China during the 1930s, the rise of Communist power throughout all of mainland China which culminated in the establishment of the People’s Republic of China in 1949. The book stresses the importance of the mythology that evolved around the Nanchang Uprising: since criticism of the Nanchang Uprising would open themselves up to accusations that they were Trotskyites, the Chinese Communists created the myth that the Nanchang Uprising was a success, and later dated the origins of the People’s Liberation Army to this event. Bruce A. Elleman is Associate Professor at the Maritime History Department of the U.S. Naval War College. He received a BA from UC Berkeley, and the MA, MPhil and PhD from Columbia University. His published research includes numerous articles on the USSR's and China's secret diplomacy surrounding the Chinese Eastern Railway, Outer Mongolia, and the United Front policy. He is the author of Modern Chinese Warfare, 1795-1989 (2001), Japanese-American Civilian Prisoner Exchanges and Detention Camps, 1941-45 (2006), and other books on Sino-Soviet relations and Chinese military and naval history.